Happy Friday, everyone! It is officially the weekend!!! Normally, I would be cracking open an ice cold can of Diet Coke right about now. I would be enjoying it’s crisp flavor, cool carbonation, and the hum of the caffeine easing its way through my system. However, one month ago today I gave up Diet Coke. That’s right! I said Goodbye to my delicious all-time favorite beverage, and Hello to better health! So, why did I decide to give it up? -I didn’t think that I could give it up. 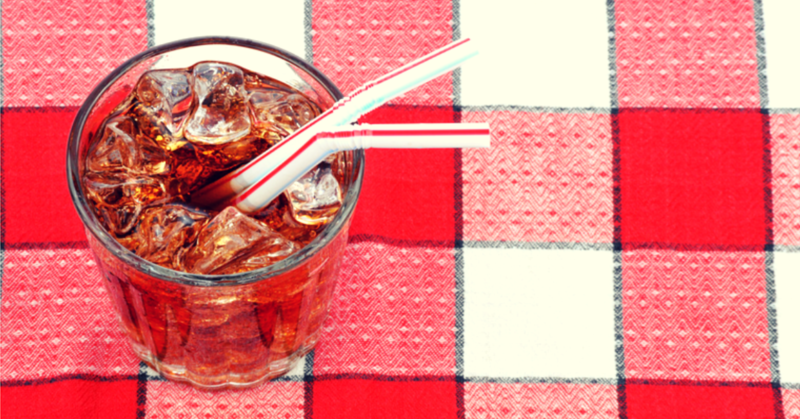 -Diet Coke has a LOT of artificial sweetener in it which tricks the body into thinking that it’s processing sugar. This can cause unsteady blood sugar; a contributing factor to many of my previous seizures. Those factors all pointed to me having an addiction problem. I truly did not think that I could give it up… that told me that I definitely needed to! I feel that it is my responsibility to stay as healthy as possible, and a big part of that is taking care of my own nutrition. It’s important for me to do this not only for myself, but for my family as well. They have gone out of their way for years to help make my living with Epilepsy easier on me. What kind of Thank You would I be giving them if I continue to neglect my health by overindulging in Diet Coke? A few people have asked me why I don’t just have 1 per day or 1 per week and draw the line there? Well… unfortunately I have tried that before and I wasn’t successful with it. I know that I will be able to handle those limits for about 2 weeks, and then I will lose total control over it. I’ll be right back where I started. So, cold turkey it was! And you know what? It was actually really easy! I only had 1 headache after kicking the habit. Only ONE!! And so, I’m going to keep going strong. My plan was to give it up for one month in order to prove to myself that I could live without it. Now that I’ve accomplished my goal, I’m going to continue on without it! I’m feeling great, sleeping much better, and still haven’t had any seizures! Is there anything that you’ve been overindulging in but are struggling to give up? I hope that this post has been inspirational for you. Feel free to contact me with any questions or if you’d like to share your story! Thank you again for tuning in and don’t forget to Seize The Day!